On August 31st, Princess Sofia of Sweden gave birth to her and Prince Carl Philip’s second child, a son. A few days later, the boy’s grandfather, H.M. King Carl XVI Gustaf, announced that this new Prince of Sweden had been given the names GABRIEL CARL WALTHER and the title Duke of DALARNA. Most people had guessed that the dukedom would be DALARNA - an excellent choice, given that the mother, H.R.H. Princess Sofia, has many of her roots in that province. There have been two previous Dukes of Dalarna; Prince August (1831-1873) and Prince Carl Johan (1916-2012). The name GABRIEL, however, was quite unexpected, as was ALEXANDER for his elder brother. As far as I can see, there have been no princes by those names in Swedish history. The closest we come would be Magnus GABRIEL De la Gardie (1622-1686), at one time Sweden’s richest man, who was married to Princess Maria Eufrosyne of Pfalz (1625–1687), a sister to the Swedish King Carl X Gustav. 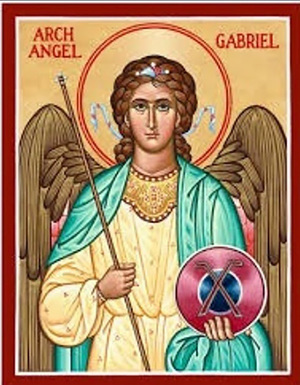 The name GABRIEL does appear in some Royal Houses, but is not very common. I can think of only a few; Prince Gabriel of Belgium (2003), Prince Gavriil Konstantinovich of Russia (1887-1955), Prince Gabriel of Bourbon-Two-Sicilies (1897-1975), a couple of Infantes of Spain and Count Gabriel de Nassau (2006) - but there are perhaps a few more, if you really scan the genealogies. As for non-royals, celebrities like Gabriele D’Annunzio and Gabriel García Márquez, both famous authors, stick out.